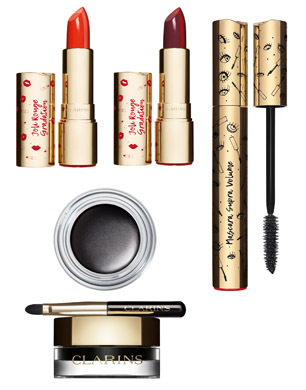 Just in time for autumn, Clarins have recently launched their new Joli Rouge & Black makeup collection. Released on 26th August, the striking selection focuses on bold eyes and bright lips. In keeping with current beauty trends for the upcoming makeup season, you’ll find three lip colours, a mascara and waterproof gel eyeliner. The iconic Clarins metallic packaging has been given a limited-edition update, as pieces are emblazoned with little lips and eyes. 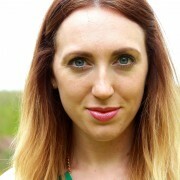 The Joli Rouge Gradation (£22) shades comprise Coral, Red and Plum. A stunning twist on the lipstick staple, these colours sculpt and plump your pout. Richly moisturising, ingredients include organic mash samphire and mango oil. Our lipstick go-to, Joli Rouge never lets you down, ensuring smooth lips and seamless colour. A berry lip fan, I love the indulgent darker tone, but you also can’t beat a bright pop of coral or classic red. Pick up your favourite, or invest in all three, updating those lips this autumn. Joining the Joli Rouge Gradation picks is the Limited Edition Mascara Supra Volume (£22). An essential black buy, lashes look longer and thicker, creating that gorgeous baby doll eye effect. Intense and powerful, frame your peepers in style. An ideal accompaniment, Waterproof Gel Eyeliner (£26.50) is a product rich in pigment and water-resistant. Ensuring your liner doesn’t budge, this little pot provides up to 12 hours of wear. Also arriving complete with applicator brush, it’s no secret how superior Clarins integral brushes are. Perfect on-trend cat’s eyes or add a subtle line, whichever your eye makeup preference. Making for beauty must-haves, boast some Clarins newbies this season with Joli Rouge & Black. Available nationwide now. You can call 0800 036 3558 to find your nearest Clarins stockist. Visit Clarins.com for more information.